"At this point, there’s really no reason for anyone in OC’s indie rock scene not to know about Wetwood Smokes. With a fourth EP and a corresponding mini-tour through the Southwest carrying them through August, the Costa Mesa-based group has already broken through as one of the most prominent and relevant indie bands in the area." "Josh Bowman's vocals remind me of a young Jonny Lang: soulful, bluesy, and stained with rock & roll. I crank up the volume, letting the raw, reverb-laden sound wash over me. Despite being relatively new, the band's limited discography shows a promising level of consistency. Their knack for memorable hooks and textured indie-rock grooves strengthens between their 2014 debut album, Earth Tones & Red, and 2015's Organ Donor EP. 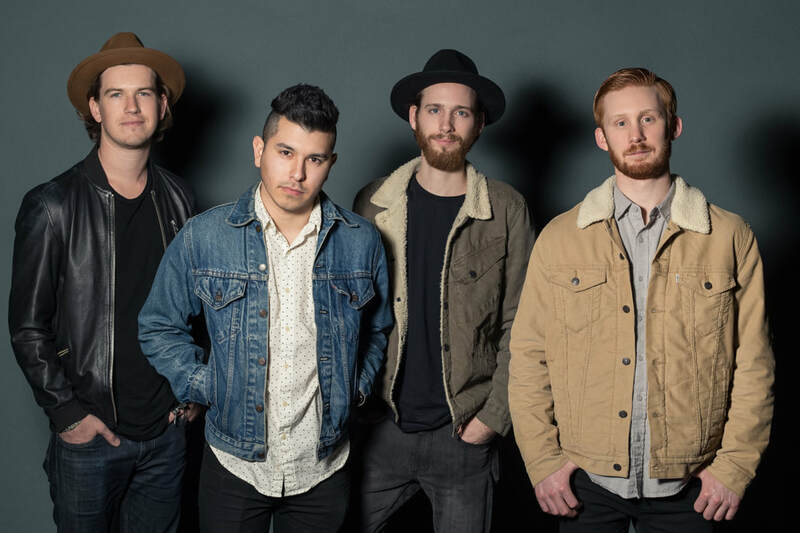 You can hear the confidence of Bowman, bassist Chrystian Cano and drummer Steven Howard (all of whom play multiple instruments) growing as they deliver a textured blend of harmonizing indie rock." "Out from the unsuspecting OC suburbia rises Wetwood Smokes, an up-and-coming indie-rock trio that have already claimed the Top Artist spot on The World Famous KROQ’s “Locals Only” show thrice in recent weeks. Don’t be fooled: their limited discography demonstrates their knack for chameleon virtuosity. Like Beck and Bright Eyes before them, each collection of songs share a distinctive vibe, sound, and appeal. Wetwood Smokes’ debut LP Earth Tones & Red (2014) holds its own like a neon fox running through a Manhattan blackout, sounding as if it was crafted by some industry veteran rather than three newcomers in their parent’s garage. Next, Wetwood Smokes’ highly praised EP Organ Donor (2015) treats your soul like a paper flag in the wind, infusing your senses with a delicate electricity. The title track transports the listener deep into the throngs of young love: each tempo-change reverberates with excitement, self-loathing, hope, anger, an overall intoxicating concoction of emotions. Wetwood Smokes’ most recent EP Our Third (2016) trades in the indie-darling tranquility for the raw energy of southern classic rock. Quick as a snap, the track “Dead Pixel” leaves an epic and dirty caterwauling gash, completing the fuzzed out portrait of a late August sunburst." "These cats take the term power trio to new heights with their aggressive indie overtones, layered perfectly with rock aesthetics and truly impassioned vocals. The result of this package produces unique songs with timeless qualities."